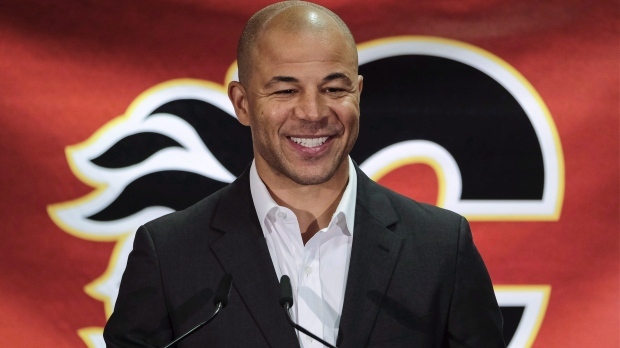 CALGARY - The Calgary Flames will retire former captain Jarome Iginla's No. 12 during a ceremony on March 2 prior to a game against the Minnesota Wild. 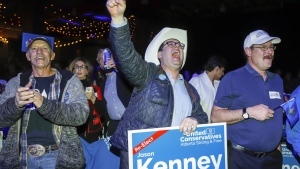 The native of St. Alberta, Alta., retired from the NHL after a 20-season career last July. Iginla had 525 goals, 570 assists and 1,095 points in 1,219 games with the Flames. Iginla is the franchise leader in goals, points and games played. He reached the 30-goal mark 11 times and was a six-time NHL all-star with the Flames. Drafted 11th overall by the Dallas Stars in 1995, Iginla was acquired by the Flames in a trade in December of that year. After nearly 16 seasons with the Flames, Iginla was traded to the Pittsburgh Penguins in March 2013. He finished his career with stops in Boston, Colorado and Los Angeles. Iginla played for Canada at three Olympics, winning gold in 2002 and 2010. He assisted on Sidney Crosby's overtime winner against the Americans in the final in Vancouver in 2010.